Thomas William Drumbeater, age 71, of Minneapolis, Minnesota, began his journey to the spirit world from his home on Saturday, January 12, 2019. Thomas was born on July 10, 1947, to William and Julia (Mitchell) Drumbeater in Cass Lake, Minnesota. Thomas grew up in Federal Dam and later moved with his family to Remer. Thomas attended elementary and high school in Cass Lake. When the family moved to Minneapolis, Thomas met and married Joyce Drumbeater, the mother of his two children Tammi and Thomas. He later met Elenor Jack, his special friend with whom he had two children Jamie and Thomas. Thomas worked as a factory worker and laborer. At age 32, Thomas was permanently disabled in an accident and lived his years in and out of rest homes in the Twin Cities area. 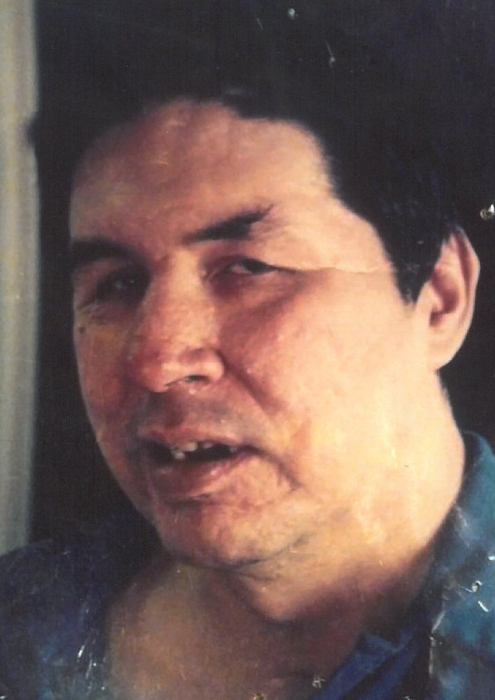 Thomas loved boxing, attending powwows, and playing pool. He volunteered at the Native American Indian Center in Minneapolis mentoring young boys in boxing. He is remembered as being fun-loving with a good sense of humor. Thomas is welcomed to the spirit world by his mother and father; brothers Charles, Patrick and Joseph; and sister Caroline. He will be remembered by his children: sons Thomas Drumbeater and Thomas Jack and daughters Tammi Miller and Jamie Jack; grandchildren Kaaynen and Kaayllah Escobedo and Dominic Mike, great-granddaughter Kehlani Escobedo; sisters Marilyn (Bruce Anderson) Drumbeater and Roxanne Drumbeater; and special nephew David Drumbeater. A wake for Thomas will begin at 5:00pm on Wednesday, January 16, at the Mission Community Center, Cass Lake, and continue until the service at 10:00am on Friday, January 18, also at the Community Center. Serving as spiritual leader will be Steve Jackson. Burial will follow at the Boy Lake Cemetery, Boy Lake. Pallbearers for Thomas will be Bruce Anderson, Jerome Anderson, Jeremy Drumbeater, Miles Drumbeater, Tyrell Mitchell, and David Drumbeater. Honorary Pallbearers will be Dallas Thompson, Kaaynen Escobedo, and Dominic Mike. The Drumbeater family has entrusted arrangements to the Dennis Funeral Home, Walker, Minnesota.